What Is Proprioception and Why Do Sports Medicine Doctors Recommend It? The word proprioception means “sense of self.” The proprioceptor system involves nerve receptors in the muscles, ligaments, tendons, and joints of our feet and ankles, which send sensory impulses to the brain that control lower limb muscle movements. Furthermore, information trickles in from the vision and vestibular organ systems to keep us upright and steady. Yet, we at The Center for Podiatric Care and Sports Medicine say this outcome is preventable when attention is paid to proprioception training. 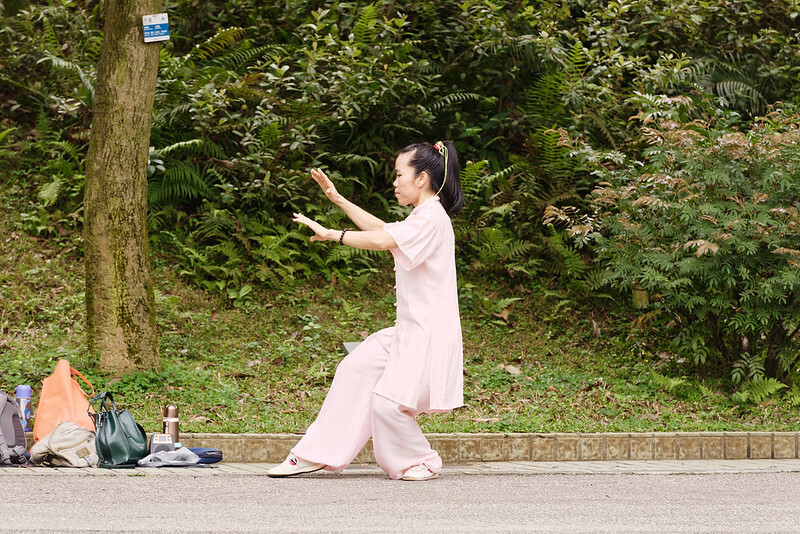 A 1996 study conducted by the University of Connecticut School of Medicine found that older Americans in their eighties who engaged in Tai Chi balance and strengthening exercises three days a week demonstrated stability levels of someone three to 10 years younger.3http://www.ncbi.nlm.nih.gov/pubmed/ Significant gains persisted at six months even after the study concluded. Practice walking from heel-to-toe: Do this barefoot on a firm, flat surface. As you walk, focus on the way your ankles, calves, and joints move to keep you steady. Stand tall with your shoulders, back, and chin level. Look at an immobile point in the distance to walk straight. Eventually, try walking with your eyes closed and work your way to transitioning to a carpet, lawn, or foam balancing pad. Once you graduate to the next levels, try “walking the plank” on a 2×4 — forward, backward, and with your eyes closed. Stand next to a wall in the classic “tree pose”: Put your hands on your hips, bringing your left heel to your right ankle. Concentrate on the balancing act your planted foot is doing and feel the stability up through your spine, while gazing at a fixed point ahead and breathing slowly. Once you can do this steadily, move your left foot to the calf and then the thigh. Look up toward the ceiling or shut your eyes to make it more challenging. Try bringing your hands to your heart and raise them overhead as if they were branches of a tree. Repeat on the opposite side. Brushing your teeth: Stand on your right foot while brushing on the left side for a minute, then alternate. Dressing: Stand on one foot while pulling on socks, pants, and shoes or applying lotion to the legs. Picking up: Instead of bending at the waist, squat down to pick up groceries, toys, laundry, or other objects. Gardening: Spend a little time barefoot, walking on grass, sand, or cobblestone in your garden. You don’t always need to be on your feet to do balance training. The Bosu Ball is one of our favorite tools for balance training. Here are 41 different exercises you can do with a Bosu Ball that improve strength, stability and balance alike.4http://www.phillymag.com/be-well-philly/2013/04/16/40-exercises-bosu-ball/ Other tools to consider include: balance pads, balance boards, wobble boards and indo boards. Doctors at The Center for Podiatric Care and Sports Medicine offices in Manhattan and Westchester work with athletes and people of all ages who want to work on improving performance in sports competition or just everyday life. Our balance and strength training program can help you prevent falls and injuries or recover from illness or trauma. Contact our team of board-certified podiatrists, surgeons, sports medicine doctors, and physical therapists to learn more.